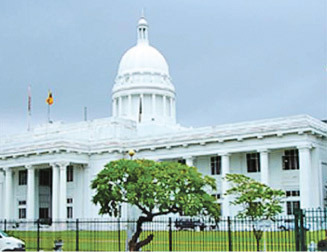 The Colombo Municipal Council (CMC) Online Tax Payment System introduced recently, will greatly improve the country's 'ease of doing business' index, ICT Agency of Sri Lanka (ICTA) sources said. CMC tax payments which do not require any supplementary documents and manual interventions could be made online. Among the tax categories for which this online payment could be made are: (1) Rates payments, (2) Trade tax, (3) Tax on businesses, (4) Market rental, (5) House rental, (6) Shops and boutiques rental and (7) Hawkers' rental. Not only those who possess debit or credit cards others too could pay CMC dues online using the eZcash service of Dialog. Soon this will be extended to cover similar services of other mobile phone facility providers, the sources said. The latest reckoning of 'Ease of doing business' a World Bank and International Finance Corporation (IFC) co-publication, places Sri Lanka atop South Asian Association for Regional Cooperation countries (SAARC). The publication ranks the eight SAARC countries under the index 'ease of doing business' as: Afghanistan - 164, Bangladesh - 130, Bhutan - 141, India - 134, Maldives - 95, Nepal - 105, Pakistan - 110 and Sri Lanka - 85. 'Doing Business 2014: Understanding Regulations for Small and Medium-Size Enterprises' produced by the World Bank staff with external contributions, ranks 189 economies in the world. The ranking is done by considering each economy's regulations for thriving in businesses, particularly small and medium-size, under 11 topics. The topics are: (1) starting a business, (2) dealing with construction permits, (3) getting electricity, (4) registering property, (5) getting credit, (6) protecting investors,(7) paying taxes, (8) trading across borders, (9) enforcing contracts, (10) resolving insolvency and (11) employing workers. (The 'employing workers' data are not included in this year's ranking on the ease of doing business). While the ranking is from 1 to 189, the lower the digit indicating the rank, the higher the rank among the 189 economies. A high rank on the 'ease of doing business' index means the regulatory environment is more conducive to launch and operate a local firm. This index averages the country's percentile rankings on above-mentioned topics, made up of a variety of indicators, giving equal weight to each topic. The rankings for all economies are benchmarked to June 2013. Although Sri Lanka is atop SAARC countries under the overall category of 'ease of doing business' it occupies the last place under the sub-rank 'paying taxes'. If Sri Lanka's position in the sub-rank, 'paying taxes' is raised it will improve its overall ranking. A comparison of Sri Lanka's sub-ranking 'Paying taxes' in 2013 and 2014 shows a four-position improvement. That is in 2013 Sri Lanka in the sub-ranking of 'paying taxes' was 175 - whereas in 2014 it is 171. Under sub-ranking 'Paying taxes', the order as per 'Doing Business 2014' is: Afghanistan - 98, Bangladesh - 100, Bhutan - 104, Maldives - 115, Nepal - 126, India - 158, Pakistan - 166 and Sri Lanka - 171.